We have purpose-built, industry leading IT infrastructure to provide real-time and accurate data for better project management. the ability to work within rigorous frameworks and integration with corporate systems. Our clients’ reporting needs are as important to us as the holes we drill. We hold the belief that project data belongs to our clients and that it is our job to ensure that we collectively have access to information for effective project management with quality data that facilitates meaningful resource definition, analysis and reporting. Smart Drill Data (SDD) is a proprietary system that delivers significant time and cost efficiencies by enabling more accurate and timely data capture and transfer from site. 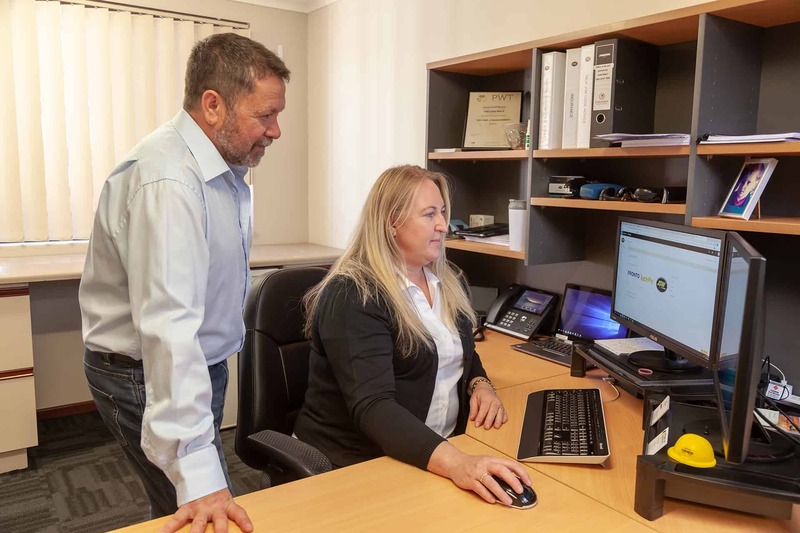 The system provides a single point data of entry, removes the need for people to enter data, reduces processing times and facilitates greater visibility of project progress and productivity. The technology consists of 42 sensors placed on each machine to record and report drilling activity in real-time. A single tablet provides the interface for operators, delivering immediate (every 0.5 seconds) visibility, via Bluetooth connection, to where the drill is in the hole. Purpose-built, SMT 2.0 seamlessly provides direct and timely access to drilling data from SDD via our client portal. This includes access to productivity and efficiency data, record of works, including fees and revenue. 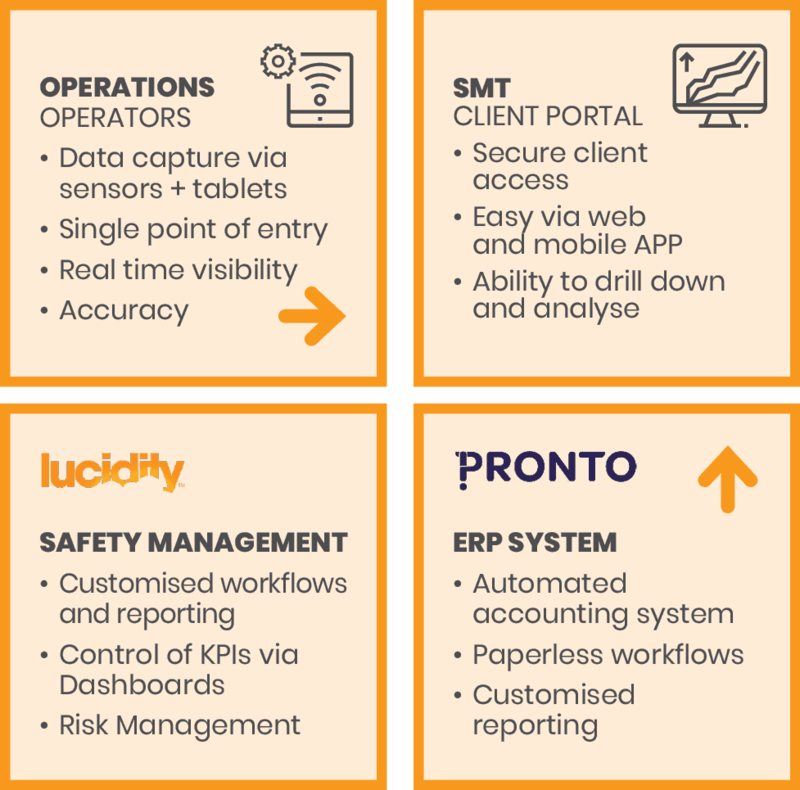 Lucidity is JSW’s safety management system that enables reporting, investigation, analysis, tracking of incidents and the ability to proactively action issues. 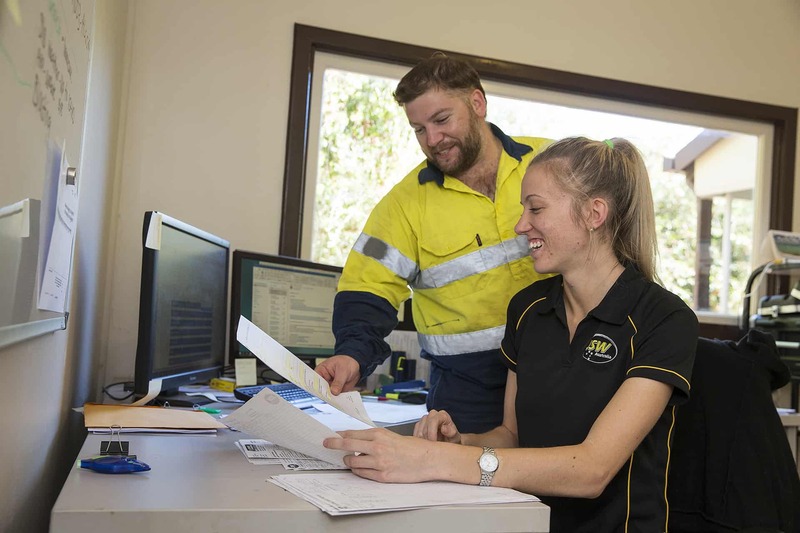 We have customised dashboards and workflows to provide an immediate view on key performance indicators and easy access to drilling data for reporting and analysis. Risk management, root-cause analysis and action allocation are at our finger tips. Underpinning any project is the ability to control all financial components. JSW has invested in the customisation of Pronto, our Enterprise Resource Planning (ERP) system, to provide timely data in a format where decisions can be made. As part of this, we have automated our accounting systems to provide paperless workflows from purchase orders to reporting.